Do We Really Need A Minister For Cities? No one likes unnecessary red tape, but one sector which touches us all, property, certainly has its fair share. With Australia having amongst the highest rates of urbanisation in the world there have long been calls for our government at the highest level to dedicate a ministerial position to tackle the problems of our cities and address urbanisation issues. It seems logical that this vital function has a dedicated seat at the big table. No one doubts the economic importance of our cities to the nation’s prosperity, but there remain many issues in regards to land supply, infrastructure and affordability. The Australian Sustainable Built Environment Council (ASBEC) has been among those advocating for appointing a Minister for Cities by the Federal Government. ASBEC has presented a report outlining the need for such a portfolio. ASBEC’s members include the Property Council, the Institute of Architects, the Planning Institute and Engineers Australia, so their opinion carries a lot of weight. The report recommends that “through a Minister for Cities, the Australian Government lead the development of an intergovernmental agreement with the states and territories supporting: better data collection and research to understand our cities; evidence-based investment to drive productivity; new financing arrangements that leverage the strengths of every sphere of government helping to deliver more productive, liveable and sustainable cities”. The report says cities and urban communities “represent the economic drivers of the nation: providing homes for millions, delivering and exporting our goods and services, creating jobs, providing centres of cultural and social exchange and a door to the rest of the world”. “As we grapple with the challenges of climate change, an ageing and growing population, congestion, urban expansion, housing affordability, cost of living pressures and social marginalisation of minority groups, it is important we do not simply maintain the status-quo. “It is timely to take stock, to consider what next steps should be taken. Priorities need to be set, and a plan for action, which will realise a positive future for our cities must take priority,” the report says. But the appointment of such a minister should not be mistaken for the golden bullet that can cut through all the bureaucracy. Ross Elliott, an experienced public policy and strategy executive, argues that this ‘minister’ is in itself not really necessary and that the effective levers are already in place to make change for the betterment of our cities. “Before they call for another minister and the ministry that goes with it, you need to be very clear with what you’re expecting to achieve and question if there aren’t already portfolios there that have that policy scope within their reach anyway?” he says. “I would argue probably that the key person is the federal treasurer. The treasurer has already basically disowned this responsibility as a policy question arguing that it’s really a matter for the states and local government, which is correct. “However, you have everyone from the reserve bank governor down expressing considerable concern that the housing sector has become "unbalanced, overheated, a bubble". The governor has even used the word ‘crazy’ to describe Sydney property and he is very conservative governor who watches his words carefully. Elliott says the biggest opportunity the federal government has to influence housing policy is -- if they agreed there is a problem in terms of supply -- would be to tie some of the GST receipts generated by housing to some performance outcomes based on supply. Elliott is convinced though that Australia needs a policy view - and a good one. The place for that to live is either in the treasurer's portfolio or as part of the Department of Prime Minister and Cabinet. It seems we are not much closer to seeing such a portfolio appointment. Indeed Ross Elliott and James Lesh both bring up the fact that Australia has effectively had a Minister of Cities before: Tom Uren, as Minister of the Department of Urban and Regional Development, which was established by Gough Whitlam after the 1972 election. 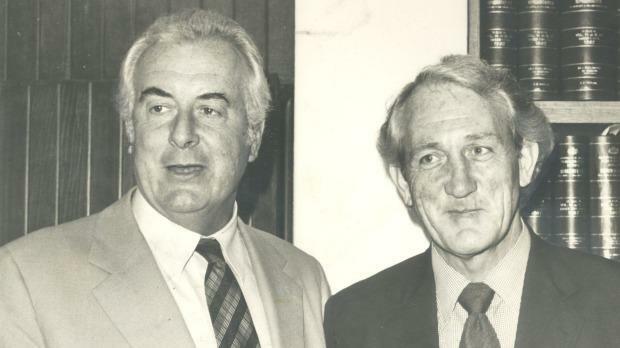 According to Lesh cities were a priority for the Whitlam government, but DURD however was disbanded by Malcolm Fraser.